When you run out of people to prospect in network marketing, who do you talk to? That’s simple. 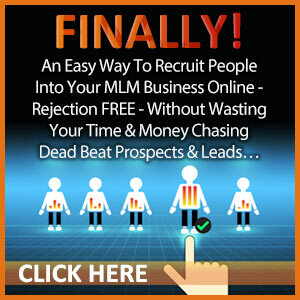 Start prospecting strangers to build your MLM business. What? Approach people you don’t know? I understand how you feel. I used to think the same exact way until I learned some concepts that erased my fears. 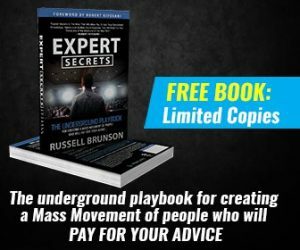 Every person in network marketing has a limited warm market of people they know. The next step is to approach your cold market and turn them into your warm market. Here are some tips on how to overcome your fears and be successful at prospecting strangers wherever you go. 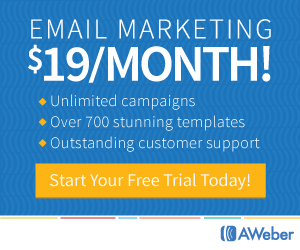 Do you want to build a business or be comfortable with who you talk to? How do you feel when someone compliments you? If you are like me, you feel pretty good when someone says something nice to you. I have approached complete strangers in the supermarket and complimented them about something: “love your sweater”, “great purse”. Proceed to ask where they got that item. Usually I get a terrific response because it’s likely that no one said anything nice to that person all day! Another approach I make in the supermarket with strangers is ask their recommendation about a particular brand or food. I see they have it in their cart and I casually say I’ve been thinking of trying it and then get their recommendation. It’s a lot like a compliment because I am asking and valuing their opinion. People aren’t shy. Do you find yourself barely listening to the other person because you are looking for that moment when you can bring up your business or products? Bad approach. A person can tell whether you are focused on them or in never-neverland. The key is to have no expectations from this conversation other than to make a new acquaintance. 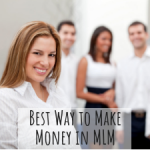 Once you understand that, prospecting strangers in network marketing can be very simple. NO. That would never work. You would introduce yourself, make a compliment, have some small talk and ask that person questions to find out more about them while being a good listener. Be in a hurry. People are attracted to a person who has many things going on in their life. People are not so attracted to those who have nothing to do but sit around and do nothing. After your quick compliment and questions, you need a sense of urgency. You have to be on a call, meet someone, or be somewhere. At this point, if the person is interested in learning more, get their contact information and tell them you will be in touch in the next couple of days. 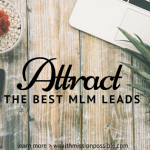 Prospecting strangers to build your MLM business can be fun and help you meet lots of new people. It just takes practice. I started by just approaching strangers with a compliment. Then I moved on to asking questions and finally getting their contact information. Get good at the process and the results will come! 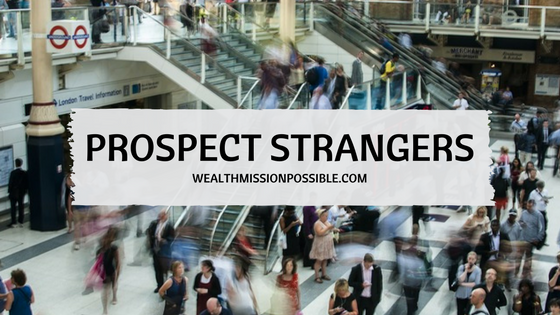 For more on prospecting strangers, check out this free training.